Right from Nick Jr to your next event. 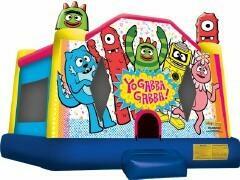 Yo Gabba Gabba is here to entertain your birthday child and his or her friends. Let Muno, Plex, Foofa, Toodee and Brobee join you at your next event.